It takes a village to have a strong chapter. In our case, that village includes our current and future chapter officers. That’s why we train them at RLA. Each February, the Regional Leadership Academy serves as the Fraternity’s largest undergraduate educational program of the year. IHQ staff facilitate the Regional Leadership Academy (RLA) in five locations throughout the United States. 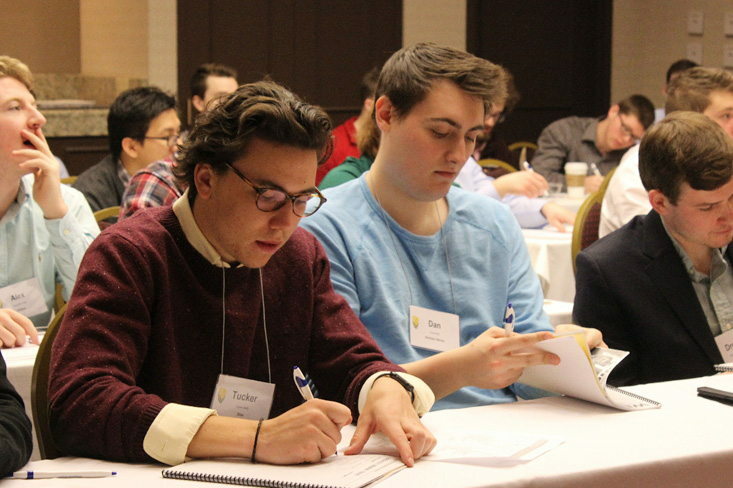 These academies serve as a unique opportunity for chapter officers in a specific geographic region to attend sessions that span a wide range of topics affecting fraternity life. 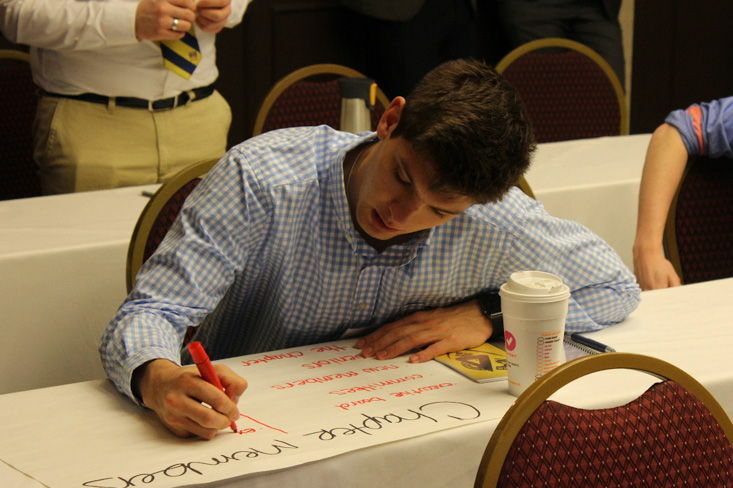 RLA is intentionally designed as an officer training platform to provide tangible skills needed for success as defined by the Delta Upsilon Officer Core Competencies. Both current and future chapter officers are invited to attend this interactive programming that is designed to help him tailor the RLA experience to his needs and role in the chapter. RLA includes 25 different breakout sessions and five general sessions that allow for extensive variety and depth in the educational content. Attendees participate in workshops, keynote presentations, team-based challenges and feedback sessions that help sharpen their personal skills and begin to understand effective organizational practices. Thank you to all those who attended a 2019 RLA! Stay tuned for more information about 2020 RLA sessions, which will be held in February 2020. View photos from the 2019 Regional Leadership Academy! According to evaluation results, participants leave RLA prepared to develop and implement tangible goals for legitimate positive progress in their chapters.